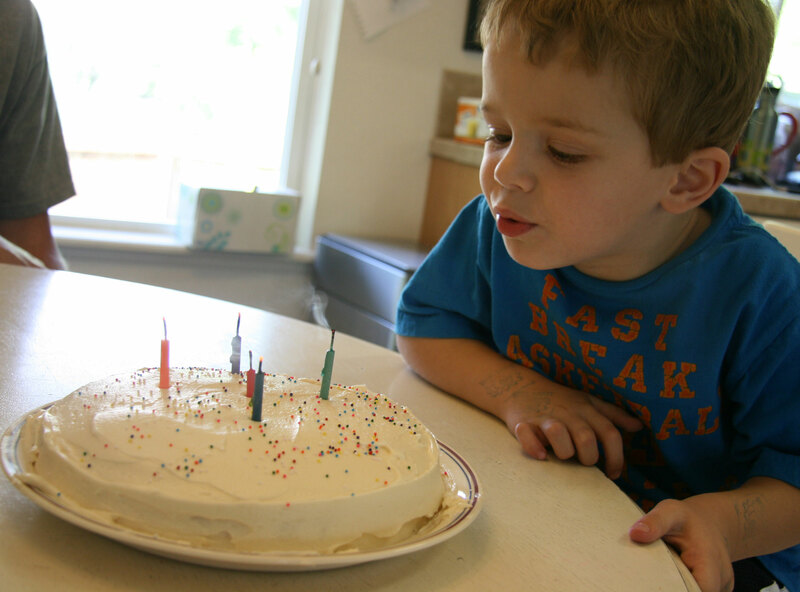 Yesterday Davey turned 4 and 1/2. We had a small celebration. He’d asked for another addition to his “village”. He kept asking about it. 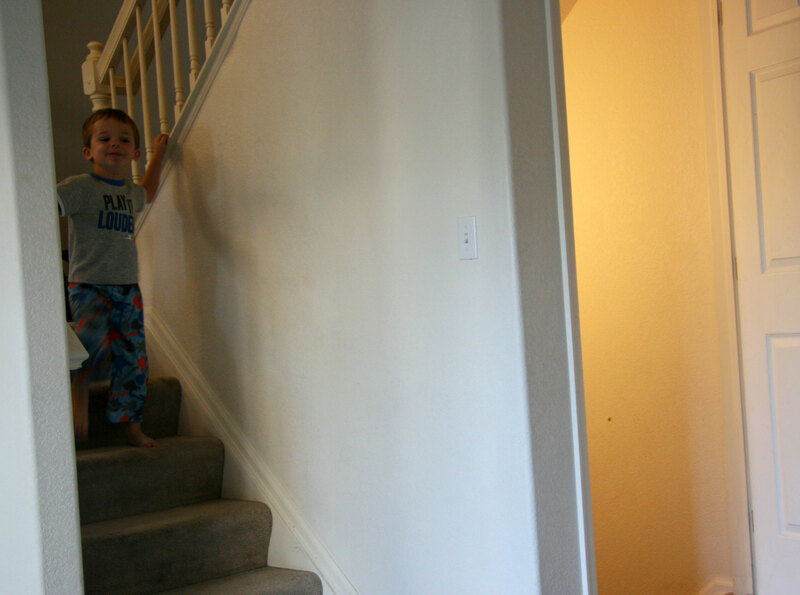 So he was pretty happy to come down the stairs and see that he did indeed get what he’d requested. This is not a great picture, but you can see the smile and the “yay! I was hoping for that present” look. 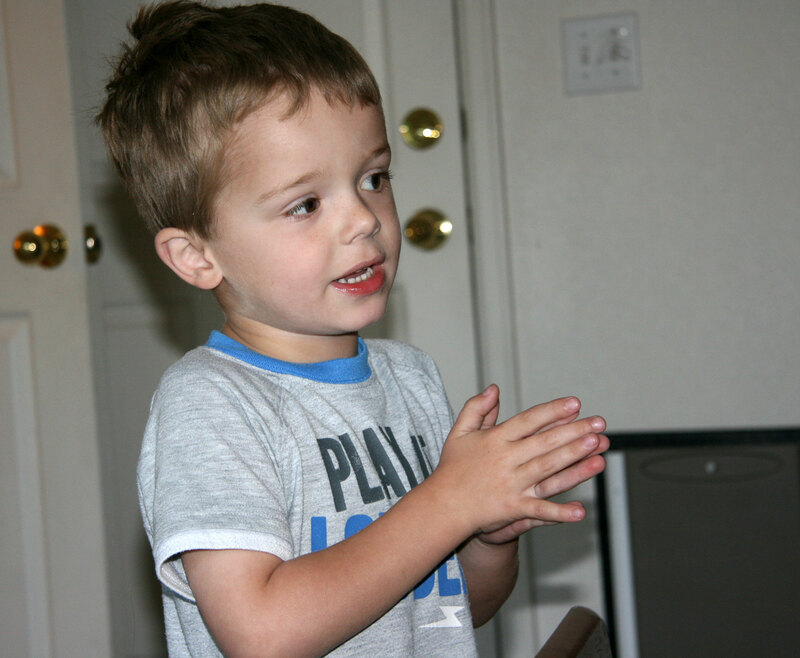 Here he is explaining some of the finer details about his new toy. 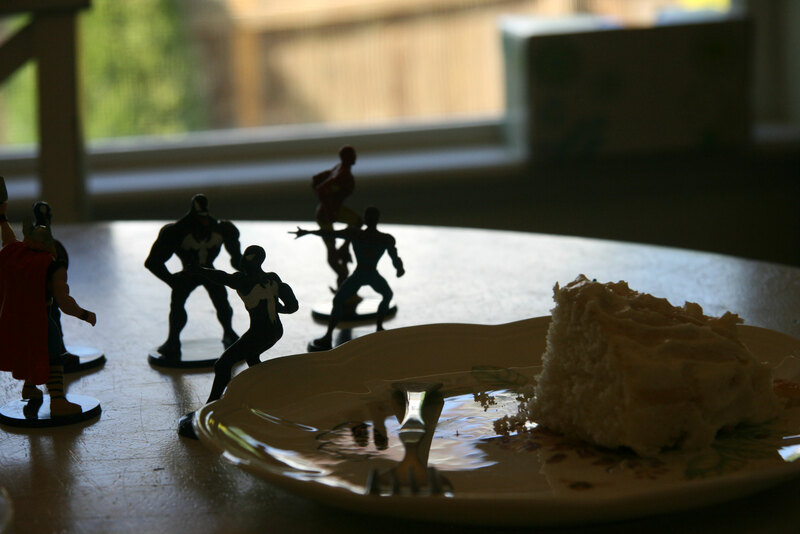 This picture of the cake and his superhero “guys” in silhouette appealed to me. I guess I like the outline of Spiderman’s outstretched hand (I think that’s Spiderman. I’ll soon be corrected if I am mistaken). Davey had fun playing with them as well. I love his focus here. Sweet photos! 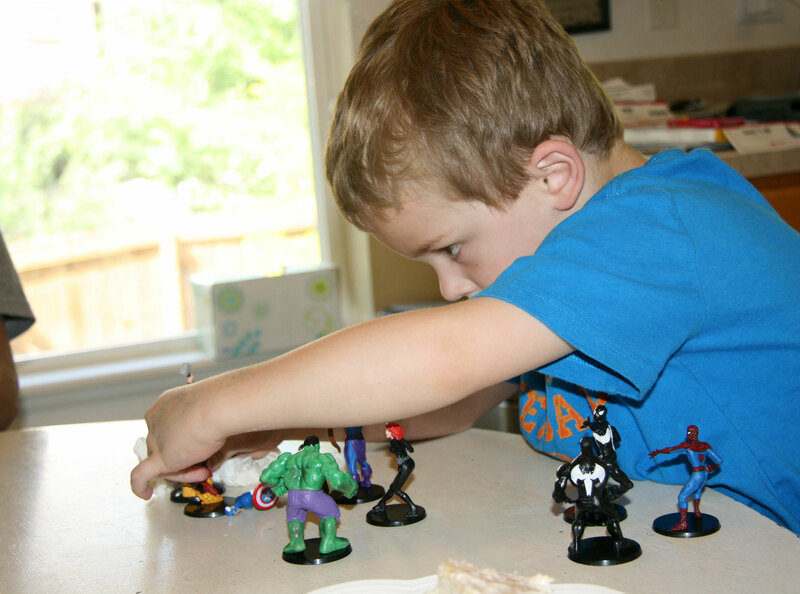 Cake & super heroes, what could be nicer than that? I like that half birthday idea! But didn’t he turn four last week?